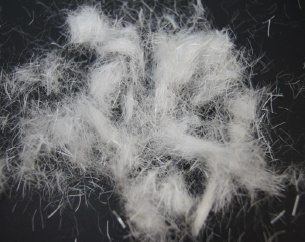 PE200 staple fiber is an economical solution to crack formation. When added to concrete it mechanically locks in the fresh concrete matrix, controlling plastic shrinkage. PE200 helps with secondary reinforcement which helps eliminate crack formation that causes permanent weakening of the resultant concrete. With PE200, concrete is less permeable, has a smooth surface, is impact resistant and improves your Bottom Line. ICF’s PE200’s characteristics lend itself to a variety of concrete applications including: slab-on-grade, precast concrete, shot-crete, stucco, decorative and other specialty concrete applications.